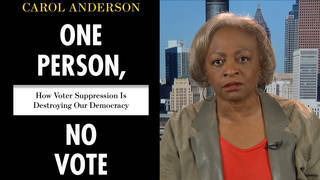 Race and the Crime of Felony Disenfranchisement | Democracy Now! Denial of the right to vote for those who have been convicted of felonies is another way that voter participation is suppressed on a massive scale. With only 5 percent of the world’s population, the United States holds 25 percent of the world’s prisoners. Laws vary from state to state. Maine and Vermont actually allow prisoners to vote, but, as of 2014, according to The Sentencing Project, every other state and the District of Columbia have some form of disenfranchisement as a consequence of a felony. In 12 states, the right to vote is stripped permanently. That means even when people have served their sentence and paid their debt to society, they can never vote again. These states are Alabama, Arizona, Delaware, Florida, Iowa, Kentucky, Mississippi, Nebraska, Nevada, Tennessee, Virginia and Wyoming. This is just one of the many devastating impacts of mass incarceration in the United States. And Republicans aren’t the only ones responsible. That is why Black Lives Matter activists have been interrupting Democratic presidential campaign events. During a recent private fundraiser for Hillary Clinton in Charleston, South Carolina, Ashley Williams held up a banner reading “We have to bring them to heel,” a reference to controversial statements Hillary Clinton made in 1996 about some youth, whom she called “superpredators.” Williams confronted Clinton, saying, “I am not a superpredator.” She was quickly whisked away. On Super Tuesday, a young Somali-American woman confronted Clinton in Minneapolis about those same comments. 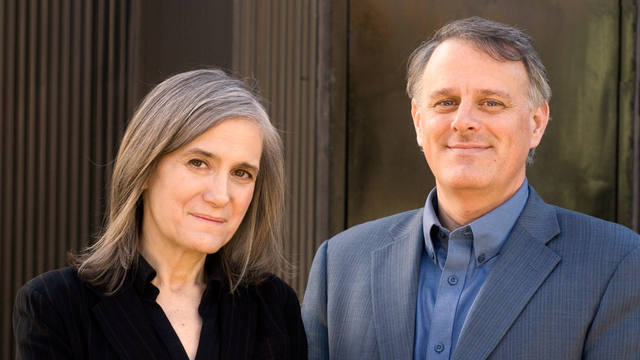 The struggle for racial justice and voting rights are inextricably linked. In this year’s race for the White House, race is indeed central.